I created a thread a month ago concerning this same topic when I was running kodi on Windows 10. I got some suggestions and the issue was resolved. I bought a Minix U9-H android box a month ago and I encountered the same problem I had initially on Windows. I have a lot of 3D movies that are in full over-under format. This means the resolution of a movie in 16:9 aspect ratio of 16:9 is 1920x2160 (stacking two 1920x1080 frames on top of each other). 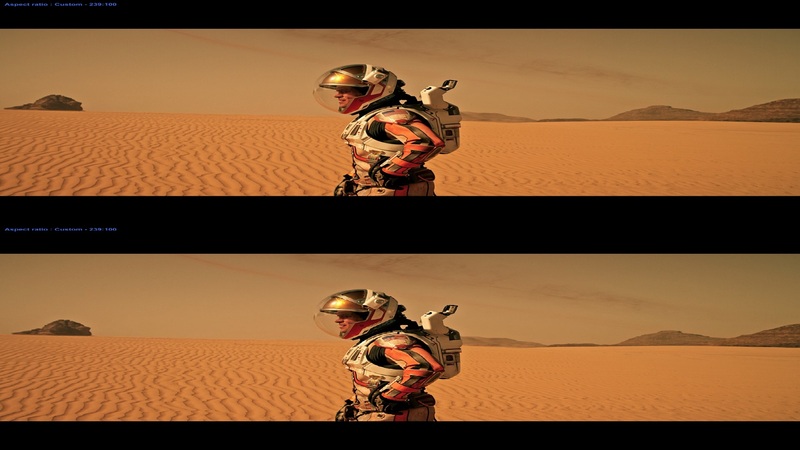 Movies in a widescreen aspect ratio (2.40:1) have had their black bars removed, giving them a resolution of 1920x1600 (stacking two 1920x800 frames on top of each other). This was all for Kodi running on a Windows computer. I tried playing the same movie on my android box running the same version of Kodi, but Kodi still displayed the video in the wrong aspect ratio. 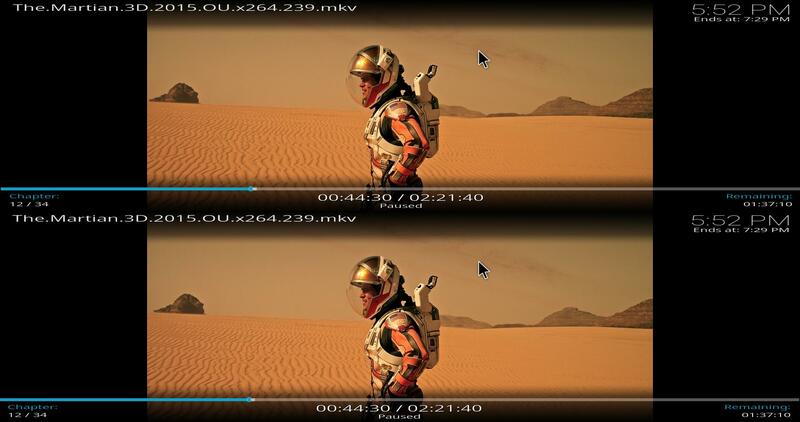 TL;DR: Kodi in windows 10 displays movie in correct aspect ratio while Kodi in android doesn't. Disable surface rendering. Keep mediacodec enabled. (2017-08-04, 18:11)fritsch Wrote: [ -> ] Disable surface rendering. Keep mediacodec enabled. I tried that. All I got is a black screen. I can hear the sound. see subtitles, but there's no video. Any other idea why Kodi on android doesn't do 16:9 stretching as Windows ? Yes. It uses a different decoder / renderer. That's no generic code. If you want windows behaviour, you need to entirely disable Mediacodec. In other words. there's no way I can display videos, such as 1920x1600, in their proper aspect ratios like I do on Windows ?